The 2018 NBA schedule has wrapped up as the Golden State Warriors blew through another NBA Finals run. As the Warriors were tested by the Houston Rockets in the Western Conference, the Cleveland Cavaliers fought to Game 7 to knock off the Boston Celtics. Now these two teams enter what looks to be one of the most important off-seasons we have seen around the NBA over the past few seasons. 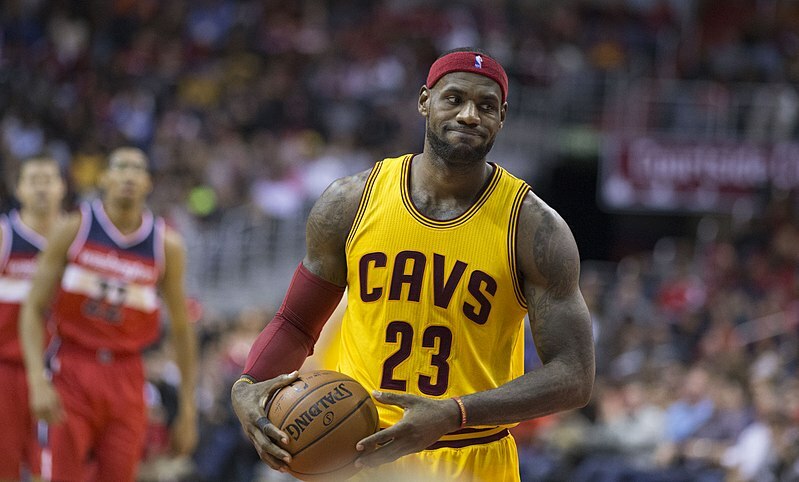 For the Cavaliers, the time has arrived for another important decision from LeBron James. Meanwhile the Warriors will have to wait for a key decision from one of their own as Kevin Durant hits the open market. As these two teams wait for these decisions, the rest of the NBA and their fans will be waiting as well for these two, as the rest of the top free agents that will hit the market. Here is a look at some of the top NBA Free Agents that will hit the market this summer and where they could possible land. The King will be the top name on the free agent market this offseason, and one that every team around the NBA would love to land. After another post season run watching James carry the Cavaliers to the NBA Finals, adding James would make any team a title contender in 2018-19. In the end as many as five or six teams could be in the running for James including the Los Angeles Lakers, Houston Rockets and the San Antonio Spurs. The former Kentucky Wildcats star will hit the free agent market this season and despite a key knee injury that cost him the end of the 2017-18 NBA Season, Cousins will be one of the top free agents this offseason. As the New Orleans Pelicans fight to bring him back to keep him and Anthony Davis together for a potential Western Conference run in 2018-19. Along with the Pelicans a number of teams could be fighting for Cousins including a Lakers team that will look to land two of the top free agents this offseason. Other teams could include the Houston Rockets, and even the Wizards as John Wall will make a push to team up with his former Wildcats teammate. You could argue that Durant and James are 1a and 1b of the free agent crop this offseason. While teams will do everything in their power to sign James, most expect Durant to resign with the Warriors on a max extension. If Durant were to have a change of heart his home town team, the Washington Wizards, could be an interesting option. In any other offseason, George may be the top free agent option but this year he will see his name behind the likes of a few of the other top stars. George who continued his All-Star run in 2017-18 has been linked to the Lakers for the past few offseasons and the question now is, will he return home to sign with them this offseason? An interesting option would be the Clippers, who would also share a home arena in downtown Los Angeles at the Staples Center. Outside of Los Angeles, another possible landing spot will be a surprise. Along with these free agents, here are a few of the other top free agents to monitor during the NBA Free Agency during the Summer of 2018, a list that includes Chris Paul (Unrestricted), Nikola Jokic (Team Option), Aaron Gordon (Restricted), DeAndre Jordan (Unrestricted), Zach LaVine and Tyreke Evans. Now the big question is which teams around the NBA will make the biggest splash during free agency.